LaTersa Blakely is a mom of two little darlings. 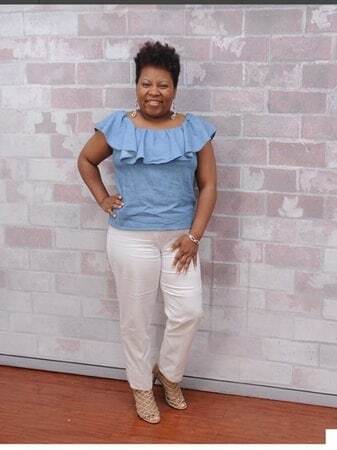 She's a woman of God who’s been in business since 2011, and she loves helping moms make money from home. 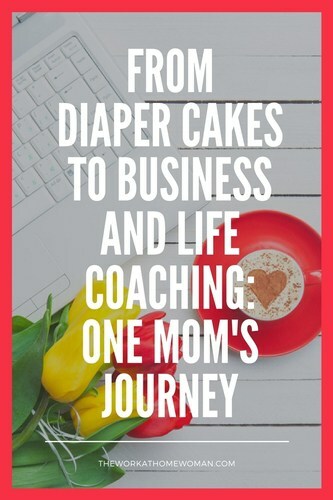 Find out how this mom went from selling diaper cakes to coaching other moms in business and in life. When I met you in 2011, you were selling Diaper Cakes. Tell us a little bit about how your entrepreneurial journey began. My journey began when my children were in diapers, and I was still working in Corporate America as an Administrative Assistant. During this time, child care was taking the better part of my check, so we decided that it was best for me to be home with the kiddos (at least until they were ready for kindergarten). 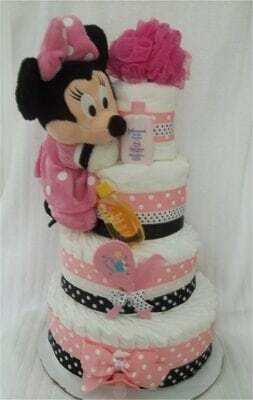 So, after starting The LaTersa Diaper Cakes, I began selling my gifts in local floral shops and hospital gift shops as a contractor because making a few sales here and there was not cutting it. From there in fall of 2012, I wrote and published my first book which was about my life and feeling led from God to move into the empowerment world. I retired my gift business in spring of 2013, after four years. I started coaching other moms to start their gift businesses, and after teaching moms all around the world, I wrote and published my second book, “Mompreneur: Steps to Balance Work, Life and Love”, which became an Amazon best seller. I then started coaching women to help them believe in their worth under my I Am Enough Movement and coaching moms to start and grow their business. I must say, it has been an adventure, but I wouldn’t change a thing about my journey. Over the years, my business has had its ups and downs, but it has taught me a lot about myself and life as an entrepreneur. I now mainly coach moms who are wanting to start their business even while still working a regular 9-5. Being that I’ve been on both sides of the entrepreneurial world, I can help women hone their best time management skills which are needed when balancing work and family. It still makes me super excited when I see one of my clients have their ‘aha' moment. I have my Bachelor’s Degree in Agricultural Economics and Master’s Degree in Agribusiness Management. I've also completed a Coaching Program and received my certificate of completion last summer. I’m always learning new things and reading a lot. I get bored fast if I’m not learning. I’m always a student first. I’m still investing in training so that I can be the best mompreneur and woman that I can be. How are you currently monetizing your business and how do you minimize income peaks and valleys? Right now, I’m refreshing after a year-long break due to life circumstances. My business is in a rebranding phase after losing my websites earlier this year due to hacking and spam. I focus on being visible as much as possible. During the slow months in my business, I sometimes pick up a part-time work, and sales from informational products provide some passive income. I landed my very first client while I was in the diaper cake business. She found me via YouTube and Facebook. This is why I always say you have to show up even when you don’t have the money or clients; you must be consistent or else you will be forgotten. Social media is fast, and if you're not visible, your clients and potential clients will go to the next best business. What has been your most effective marketing strategy? Video and social media. My personality is super energizing and hilarious, so people connect with my positive vibes. I try to automate and delegate tasks as much as possible because my entire lifestyle has changed. My kids are older, and there's a ton of homework and activities. I still schedule out times and days where it’s just family activities and no work. No more burning the midnight oils because I just don’t have the time nor energy. I utilize third party apps like HootSuite and Buffer to post on various social media sites. My life has taken on a whole other meaning, and I’m enjoying life to the fullest by being the healthiest version of myself so that I can be around for many many more years to come. Strategically map out your goals and figure out how much money you need to have to make your dreams a reality. You can start your business with little to no money, but it will definitely take money to grow it. I will also add to discuss it with your husband first before making any major decisions like quitting your job because your decision will affect your whole family. Always have a stash of money in savings because your first 1-3 years in business is groundwork, and your revenue won’t be coming in as quickly as you would like it to be. Finally, enjoy your life and don’t sweat the small stuff. You matter, and because you are here, this world is a better place. Thanks LaTersa for sharing your story! None of these links are active anymore. Do you have new links? The links have been updated. She now runs a life coaching business.